Eco-friendly lighting is good for the environment and also helps save money, making it an appealing, win-win option for households interesting in going green. Today, both lamps and light bulbs come in a variety of energy-saving sizes and designs, from light emitting diode (LED) lights to compact fluorescent bulbs (CFLs), and from large chandeliers to small reading lights. You can find eco-friendly lighting options at most local building supply and hardware stores, and many other varieties can be found online. Amazon and eBay (plus many others) are popular shopping sites for eco-friendly lighting at a wide range of price points, but don't be afraid to branch out and look at products offered by up and coming design studios, or to check out the work of local artisans. Look for Energy Star certified products, or items that are crafted from recycled materials. Check with your local power company to see if they offer a program to supply you with CFL bulbs for free before purchasing. Even if you have to buy the bulbs yourself, this remains one of the most cost-effective ways to green your home, at around $10 for a box of bulbs, and it will start saving you money immediately. 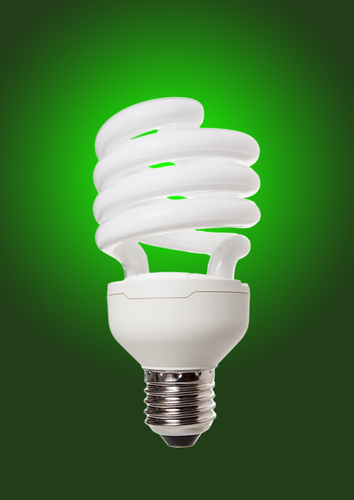 In fact, CFLs use around one quarter of the energy of a traditional incandescent light bulb and last much longer, up to 25,000 hours. Just remember that they do contain mercury, so be sure to dispose of them properly when burnout occurs. LED lights last even longer than CFLs at up to 80,000 hours, which is almost a lifetime, making their higher cost worth the investment for many buyers. 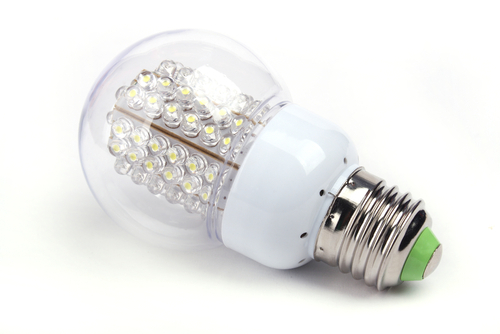 Both eco-friendly lamps and eco-friendly light bulbs will help to immediately reduce your energy bills and save money. Just be sure to shop around for the best deal before settling on any lamp, as the price of purchase can vary greatly from one design to the next. Also, consider installing motion detectors on outside lights instead of running them all night long and install solar lights wherever possible.